The Cosby TV show was a 30 minute comedy series on CBS about a guy who was forced into retirement. His wife didn't really care for having him constantly at home under her feet and he didn't like it much either! Their friends and the wife's business partner droppe by regularly, adding to the potential for funny situations. You may also want to check out these other great Bill Cosby series: "I Spy (1965)", "The Cosby Show (1984)", and "Cosby Mysteries (1994). Cosby's director of photography, Alan Walker, won an Emmy in 1997 for "Outstanding Lighting Direction (Electronic) for a Comedy Series" on the pilot episode. Other awards for Cosby were two BMI TV Music Award wins, one additional Emmy nomination, five Image Award wins and seven additional nominations, a People's Choice Award win, one Golden Satellite Award nomination, and three TV Guide Award nominations! When Madeline Kahn died in 1999, episode #84, "Loving Madeline", was produced. All of the Cast recalled memories of Madeline and her character ("Pauline") on Cosby. A number of clips considered to be her greatest moments on the show where also shown. Bill Cosby became the first black actor to star as a heroic figure on TV as Alexander Scott on the series, "I Spy". A majority of actors are well-educated but few so well as Cosby! He has a Doctorate in Education from the University of Massachusetts. His doctoral thesis was titled, "The Integration of Visual Media via Fat Albert and the Cosby Kids into the Elementary Schools Culminating as a Teacher Aid to Achieve Increased Learning". Actress Telma Hopkins ("Bosom Buddies", "Family Matters", "Half & Half") was originally cast in the role of Ruth Lucas but Bill Cosby insisted that the role be given to Phylicia Rashad who had also played his wife on "The Cosby Show". 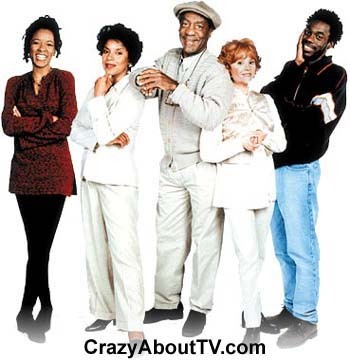 The popularity of Bill Cosby and desire to revisit the chemistry that existed between Cosby and Rashad on the Cosby Show caused this series to get huge ratings for the pilot episode! Over 24 million viewers tuned in that Monday night in 1996! Soon, the series dropped to a respectable average of 16 million per episode and then in the last few seasons, Cosby dropped sharply in the ratings and was canceled after 95 episodes. Thank you for visiting our Cosby TV show page!